As a result of receiving acupuncture treatment for his diabetes, David Krofcheck’s interest was first sparked. He graduated from California State University in Northridge, CA in 1981, with honors. David’s interest in research led him to work 1 year as a research assistant, for Friends of Medical Research, at the Sepulveda V.A. Hospital’s Drug Dependence Treatment Center. He then began his acupuncture training at the California Acupuncture College, Los Angeles campus. Dr. David finished his internship in at the Academy of Traditional Chinese Medicine in Beijing, China and received his diploma in 1984. Dr. David went on to complete an electronics program at Future Technical Institute of Westlake Village, California. After passing the California Acupuncture Board exams, he completed the doctorate program in Oriental Medicine. He used his electrical knowledge to help reveal the electrical aspects of healing involved in acupuncture with his dissertation, “Bio-electricity and Acupuncture”. In October 1989, he moved to Michigan to work in a practice with a classmate. Two years later in October of 1991, he bought the Professional Corporation, Health and Energy, P.C. He currently practices in both Battle Creek and Kalamazoo. In May of 1999, Dr. Krofcheck participated in the Honduras Healing Relief Project. 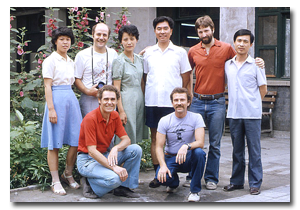 This was the first team, in our hemisphere, to offer acupuncture and natural medicine in a medical relief setting. Over 700 treatments were provided. In addition, 37 public health care workers were trained to perform the NADA Auricular Acupuncture Protocol. The newly trained workers were able to continue the treatment for post-traumatic stress victims after the Relief Team left Honduras. Dr. Krofcheck’s advanced training included: Nambrudripad Allergy Elimination Technique (NAET) Basic and Advanced courses, CranioSacral Therapy, National Acupuncture Detoxification Association (NADA) certification, Contact Reflex Analysis (CRA). The treatment modalities at his clinics include: acupuncture, moxibustion, herbology, nutrition, homeopathy, and craniosacral therapy. 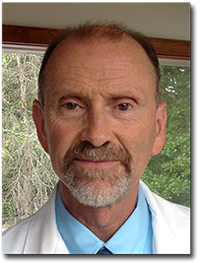 He has lectured extensively on acupuncture at Western Michigan University, Kalamazoo Valley Community College, Kellogg Community College, Sienna Heights College, (continuing education class for dental hygienists), Coldwater Hospital (interns) and the Battle Creek V.A. Medical Center. 2012 video featuring Dr. Krofcheck in: Acupuncture-The Godly Roots and Scientific Basis. The video is a combination of two articles I wrote; The Godly Roots of Acupuncture and The Scientific Basis of Acupuncture. The articles help show that acupuncture is not a “voo doo” medicine but was developed by people who worshiped the one true God of the Bible. There is reason to believe that God would prefer us to stimulate our own healing mechanisms that He designed in our bodies and save contemporary drugs and surgery as a last resort.